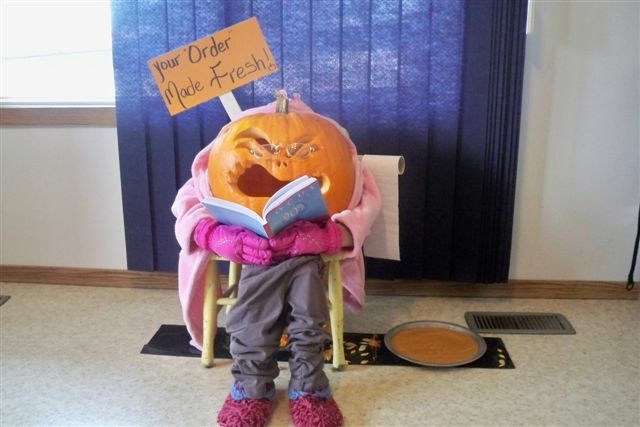 Even pumpkins get it! Darci’s 90%! Thank you again for your terrific presentation. I thought I would send you a cute picture. Every year we have a Jack-O-Lantern contest and this year at one home, a staff member lent their “Focus on the 90%” book as a prop for their pumpkin. I hope you enjoy! Often, I get emails from people who have attended one of my presentations. I love hearing about how my message is working for them — it’s a 90% for me! It’s inspiring. So today, I’m sharing one of the emails I recently received in the hope that you will be as touched as I am. “I am lucky enough to be in the group you describe as “sitting at the supper table”. This has stuck in my mind and has made a difference in my home. My parents, a farmer and his wife were lucky enough to be able to have the time to sit at the supper table with their four daughters. The supper table was not always a conventional one, sometimes it was the back of the truck with the end gate down, sometimes a blanket in the field or another make shift eating place to accommodate Dad’s work but we always ate together, even during harvest, when Dad was stressed about getting the crops in. He always stopped for a break and took the time to chat. My husband and I have one beautiful, incredible intelligent and sensitive 6 1/2 year old son with the greatest little smile and biggest hugs ever!. We have continued the supper tradition with our son, talking about all sorts of things. I truly believe God sent him to us to make us better people. My son taught me one great 90% lesson that I would love to share with you. At age 4, he was in daycare and had taken a favorite truck to show and tell. He was so excited to show his truck to his teacher and friends. When I picked him up from daycare after his show and tell, the daycare director explained that my son had proudly shown his truck and chatted about what it could do, then shared it by passing it around the class. When it came time for the last little boy to see it and pass it back, the little boy was upset and threw the truck breaking it in several pieces. Tears welled up in my son’s eyes as his pride and joy was destroyed! I almost cried while she was relaying the story. She explained that my son was still pretty upset about the truck. Seeing me, he ran to the safety of my arms with tears flowing. Through those tears he did his best to explain what happened and that he tried to be brave and forgive the other little boy but he wasn’t ready. I took his little hands in mine and asked him if he was ready now? He said yes, but he was still really sad cause it was his best truck. We chatted and I explained that maybe his friend was mad at something else not him or his truck. I asked him if he thought that this friend was more important than his favorite truck. He replied, “Well right now its kinda hard to think that, but ya, I don’t think he was mad at me or my truck, just something else.” I was very proud that through his sadness, and at that moment even though he didn’t 100% believe it, he knew that his friends were more important and that sometimes we are the targets for anger from others because we are there, not because they are angry at us. I am glad I have a supper table family to give us time to talk and learn, no matter what the supper table looks like. My 90%: I’m on the cover! It’s so exciting. 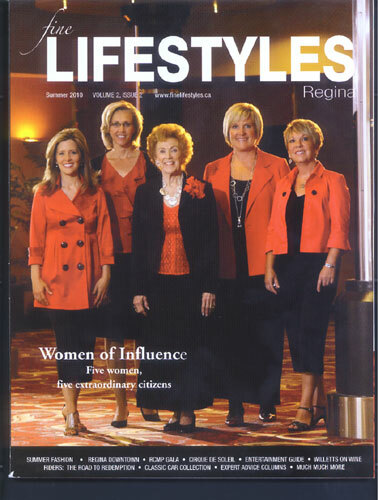 I’m on the cover of FineLifestyles Regina magazine. My 90% & 10%: Emails 24/7?? In the theme of being a positive person, I will talk about the 90%s first. I love my emails. I am blessed with requests from potential clients, audience members who share feedback, questions about upcoming presentations and emails from my many family members. The convenience on the road when I travel has been wonderful. When that little “chi gong bell” goes off on my Blackberry I usually rush to see who it is. Now the 10%. I have always prided myself on being able to work when I work and be off when I am off. I have a very creative active brain and I have found this “chi gong bell” to be very distracting. If I check one email for 10 seconds, I find I am gone mentally for at least a half an hour. I can be easily addicted to things; this could turn into that for me. So I have made a commitment to turn the phone completely off when I am in family mode. I know not everyone can do that and some of you have a job that requires you to be “on call”. I am blessed with my Adm Assistant Sandra to check emails for me when I am away and it does mean that the odd email has to wait a day to be responded to. It frees my brain to be focused on my family. As much as I love my new technology, I still like the old fashioned telephone to hear how people are, I like having friends over for supper rather than seeing how they are on Facebook and I don’t have the patience to text anyway! If you wonder if it is time to turn your phone off? Just ask your family what they think. It is hard to take the ’80s outta the girl but as my sisters would tell you, I have finally joined the new millennium. I am finally blogging! And very excited to be on this journey with you. I am slow to change on the technology front (just ask my assistant Sandra) it is definitely a “10%” for me, so blogging has been a big learning curve. Since I was joining the new millennium this week I also traded in my ancient cell phone. I thought it was time when I opened it up in the airport and the young guy beside me starting laughing. He then announced “I think you need an upgrade”. So I upgraded. I brought this new phone home not sure how to do anything but call you and maybe retrieve your call. Our nine year old daughter Jayda taught me all I needed to know. She changed my ring tone to a special Calypso tone to remind me of Hawaii (her words). She then changed my notifier to a Chi gong bell to make me feel calm when I received an email (her words). 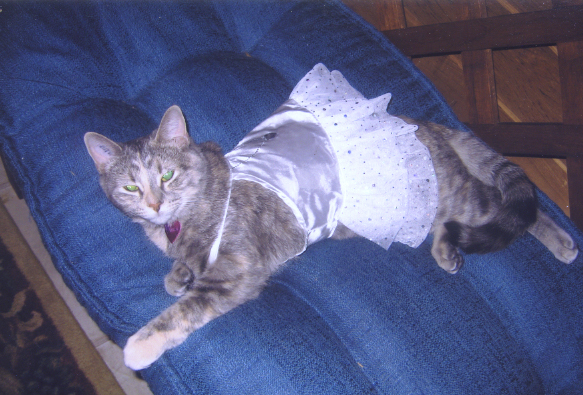 She then took a special picture of our cat, Isabella. (I didn’t even know it had a camera). Within seconds, it was “magically” my new screen saver. I sat back humbled by how much she knew. So my friends, I will be honored to share my special life with you. The 90%s are definitely outweighing the 10.